How does the “UK’s Finest Chess Shop” stack up against other big names in the online chess shop industry? 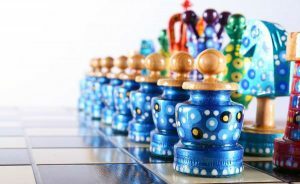 Calling yourself the Official Staunton Chess Company is a bold move, since it essentially positions you as the best and perhaps only source of premium and authentic Staunton pattern chess sets. But this British industry giant seems to live up to such a lofty name, as its more than 20 years of business experience and notable customers, including Her Majesty Queen Elizabeth II, can attest! 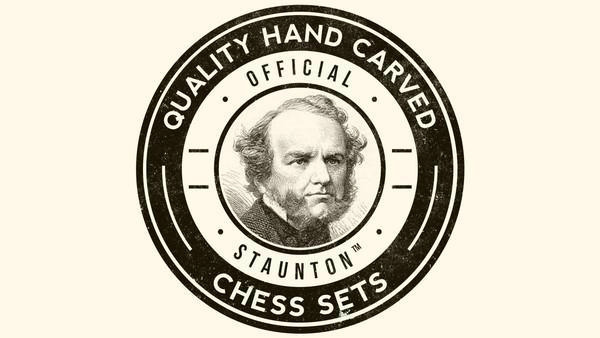 The Official Staunton Chess Company was first established way back in 1993, and has been dedicated to delivering heirloom quality chess products to its customers ever since. At that time, Official Staunton was one of the most prominent chess tournament organizers in the UK. That role involved a lot of traveling to and from all across the country, providing chess equipment for the competitors and also setting up a booth with additional chess boards, pieces, accessories, books, and software for attendees to purchase during the tournament. As their products became more and more popular and they made more and more sales at these events, they realized that there was no need to limit themselves to selling only at chess tournaments and similar venues – they could open up their own full-time shop! So, in 2003, that’s exactly what they did, and the online marketplace now known as the Official Staunton Chess Company was born. In their earlier years of selling, they also sold many items through eBay, which allowed them to do some hands-on market research and get a feel for what their customers loved and what wasn’t catching on so well. These insights helped them to start their own online shop off on the right foot with only the best and most popular items on the shelves. 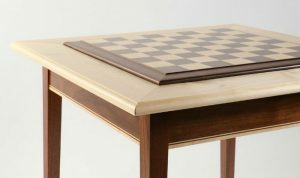 Nowadays, it’s hard to imagine seeing an Official Staunton booth set up on a trestle table at a chess tournament, because they have grown such a trusted, high-end brand. All members of the Official Staunton Chess Company team have worked hard over the years to turn a business with humble beginnings into one of the most well-reputed chess shops in the UK! 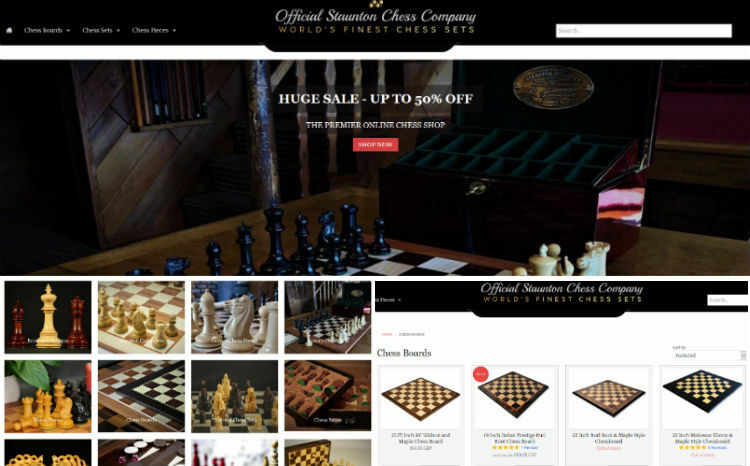 As we mentioned before, the Official Staunton Chess Company had a leg up over other online chess shops because of their experience in the industry that allowed them to sort popular products from unpopular ones before they ever launched their site. That dedication to quality has only grown more intense as the business has become more established. They do have an extensive variety of products available for sale, but rest assured that all of them have been thoroughly vetted for quality before being listed on the site, and at several points thereafter. You won’t need to worry about buying a dud when you’re shopping at Official Staunton. 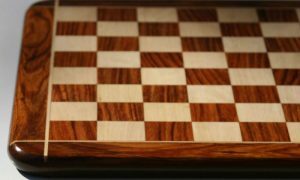 A quick look through their shop will give you a taste of the variety of products that are available for sale through the Official Staunton Chess Company. They stock just about everything you would need, from chess boards to pieces and boxes. You can even buy backgammon sets from them for a change of pace. 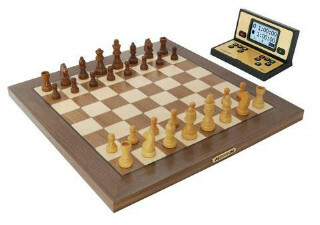 Chess sets are available to be purchased as an expertly matched set or piece by piece to create your own custom set. The chess books and software that they were known for selling in their earlier years seem to have gone by the wayside now, so this may not be a one-stop shop for someone who is just starting out with chess or who wants to learn a lot more on the topic. The Official Staunton website does provide detailed guides and videos that explain the rules of chess, how to place the pieces on the board, and other chess basics, which is nice, but if you’re looking for meaty educational materials, you’ll have to get them somewhere else. 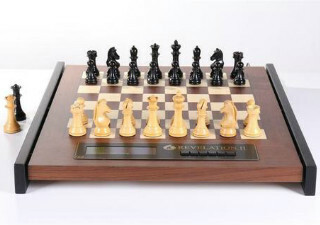 The focus on luxurious, super high quality, heirloom chess equipment makes this high-end shop a better fit for established players who are looking to purchase a really nice chess set, either as a treat for themselves or a special gift for a loved one. A chess set from the Official Staunton Chess Company would be the gift of a lifetime, and something you could pass down in your family for generations. Collectors will also appreciate the meticulous attention to detail that goes into every reproduction set. Customer service is one of the Official Staunton Chess Company’s top priorities. 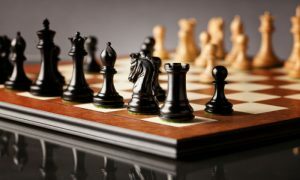 In fact, the desire to make happy customers is the reason why they put so much effort into sourcing the highest quality chess sets and making sure that they’re up to snuff every step of the way! Some other ways they express their dedication to customer service are by hand inspecting every order for quality before it’s shipped out, offering a 60 day “no quibble” return policy, and offering a 24 month guarantee on all of their merchandise. That’s hard to beat! Of course, the customer service team at Official Staunton is always friendly, eager to help, and easy to reach as well. They’ll be there for you throughout every step of the process, whether you have a question about an item or a problem with your order. They understand that this is a big, important, and rare purchase for many customers, and they’ll do their best to help you make the right choice. 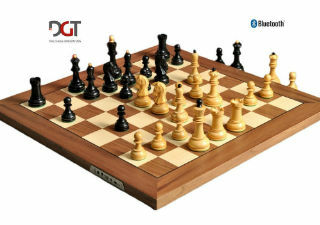 The Official Staunton Chess Company website is quite well organized and user friendly. It’s arranged in such a way that makes it easy for anyone to navigate, even if you’re not very technology inclined! You can tell that it’s been updated recently, as all the features are top of the line. It does have a unique sophisticated feel to it, and the design utilizes a lot of dark, rich colors, which make it stick out from the typical modern design a lot of websites are adopting nowadays. 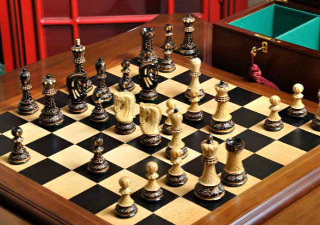 It’s a perfect stylistic fit for the products they sell- reproduction antique chess sets made from rich, dark wood. Navigation is simple with just three drop down menus in the top left hand corner of each page. You can click on any of the headings- Chess Boards, Chess Sets, or Chess Pieces, to be taken directly to the listings for all products in that category, or you can narrow down your search a bit more using the drop down menus. If you’re looking for a specific item, you can always search for it using the search box in the top right corner as well. 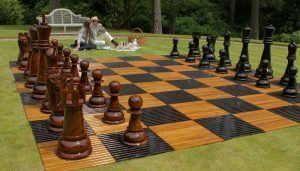 In addition to its online shop, the Official Staunton Chess Company also maintains a blog that is a good place to find company news, interesting chess information, and all sorts of product buying guides. They even have posts in English, French, and Italian! At this point, there’s already quite a lot of interesting content to sort through on the blog. Pages upon pages of cool posts await anyone who wants to read them, since the blog has been going for a while now. While it may seem overwhelming at first, this large library of posts is actually to the reader’s benefit, since it allows them access to tons of great information that may not be available anywhere else. And you don’t have to just wade in blindly and read all the posts in order, you can search for the topics or keywords you’re interested in in the site’s search box to bring up products and blog posts related to that term. 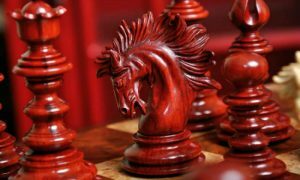 At first glance, the pricing at the Official Staunton Chess Company may seem a little steep, but when you consider what you’re getting, the price is well in line with the quality of the products. You can also find items in a wide variety of price ranges, all the way from less than $50 to almost $2,000! There’s something for every budget at Official Staunton. Products are frequently discounted in the Official Staunton store, and you will see plenty of product listings emblazoned with a red circle marked “sale” when you browse there. On some items, you can save more than $400! Buying a product while it’s on sale is a great way to snag a fantastic deal on a future family heirloom, but you have to act quickly before that sale price disappears. 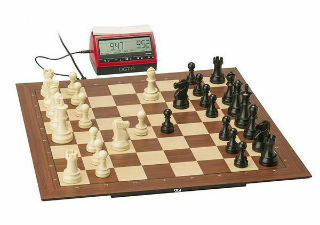 Payment options at the Official Staunton Chess Company include Google Pay, PayPal, Visa, Mastercard, or American Express. There isn’t a way to check out using check or money order, but enough modern options are offered that you shouldn’t run into too much of a problem. Shipping within the UK is free on all orders, but be aware that shipping internationally may add a significant expense to your order. We did a test order of a $38 chess board, and the shipping to the US for that item alone was about $45. That’s more than the item itself! With that in mind, we would recommend placing one larger order all at once rather than several small orders. 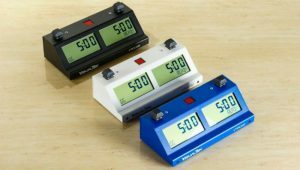 Even though Official Staunton doesn’t appear to have any free shipping offers for international orders at the moment, this tactic will save you time and money on shipping. You may even want to pool your order together with friends or family who are also interested in making a purchase. The ability to checkout with PayPal should make it easy to reimburse each other. Official Staunton aims to have all orders shipped within one working day. Delivery should be complete within 5 to 7 business days, depending on your location. Orders within the UK may even be delivered with 1 to 2 working days. That’s fast! If you receive a delivery that you think has been damaged in transit, Official Staunton asks that you notify them within 1 day of receipt. That seems like a pretty narrow window, but a quick response gives everyone the best chance of a satisfactory result. If you want to return all or part of your order for other reasons, you have 60 days in which to do so, due to Official Staunton’s generous return policy. Returns must be unused and in their original condition to qualify for a refund or exchange. The Official Staunton Chess Company is a maker of high quality, heirloom style antique and reproduction chess sets. They have earned themselves the title of finest chess shop in the UK, and we think that is well deserved. 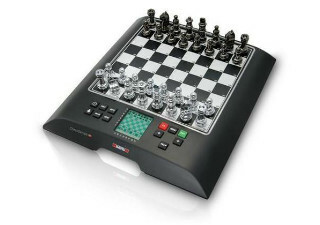 While it may not be the most convenient choice for international customers, if you’re in the UK, or you don’t mind paying a bit extra for shipping, Official Staunton is a great source of top quality chess equipment.